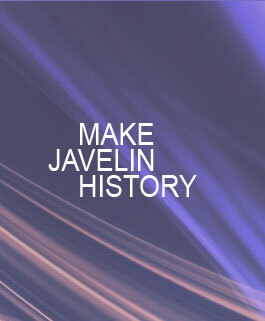 1056€ 2600mm Ø30mm 800g The most significant development from Nemeth Javelins, Olympic quality competition javelin. 958€ 2600mm Ø30mm 800g Nemeth Javelins' world (1999) and Olympic champion (2004) competition javelin with medium carbon fiber coating. 800€ 2600mm Ø30mm 800g The excellent Nemeth Club 85m Olympic quality competition javelin received a medium carbon fiber coating. Recommended for technically skilled throwers with international level results. Good compensation in case of less accurate release. 568€ 2600mm Ø30mm 800g The excellent Nemeth Standard 70m competition javelin received a soft carbon fiber coating. Recommended for technically intermediate or advanced throwers with developing results. Good compensation in case of inaccurate release. You can download our Men's Al-Carbon javelins catalogue here: Men's Al-Carbon Javelins Catalogue.